The Henderson Fabtech Desert Classic was held December 6, 2008. The UTV race consisted of three laps around a 48 mile loop. First place in the UTV class went to Jagged X in their Polaris RZR. Second place went to Cory Sappington in his DesertToyz Yamaha Rhino. 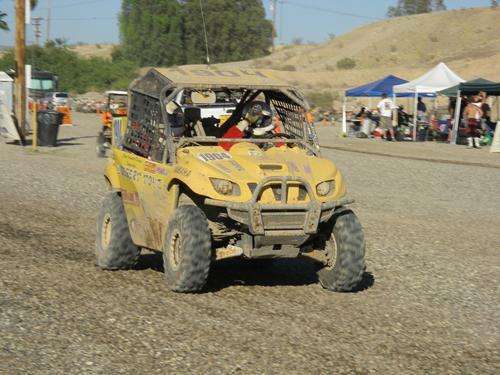 Third place went to Mike Lasher in his Pro Armor Kawasaki Teryx. Minneapolis, December 9, 2008 – Jagged X and their No. 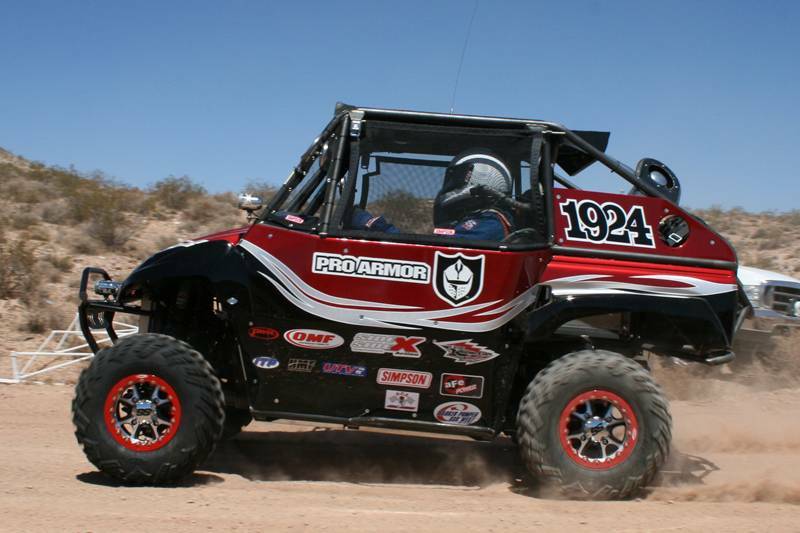 1919, RANGER RZR finished the “Best in the Desert” series strong with another win at the “Henderson Fabtech Desert Classic” this past weekend. The win finished another dominating season that brought Jagged X and the RANGER RZR their second, consecutive BITD championship. The Jagged X/Polaris Racing RANGER RZR team had already secured the season championship but was determined to finish the season as strong as possible. The field had a surprising number of entries with 10 teams lining up at the start for the approximately 150 mile race. The No. 1919 started in the sixth position driven by Blake Van De Loo and performed perfectly for the four-hour race. 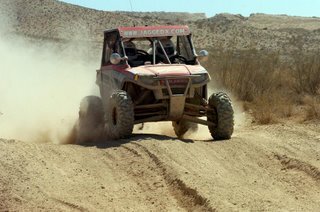 After swapping the lead several times, the RANGER RZR was able to pull ahead and take the first place finish by more than 10 minutes. This race marks the fifth consecutive win for the Jagged X/Polaris Racing team which began the season with two second place finishes. This is the first time a Side-by-Side has completed every single race mile for an entire racing season in the BITD series. The Side-by-Sides also are the only class competing in a seven race season, with all other classes racing five races. 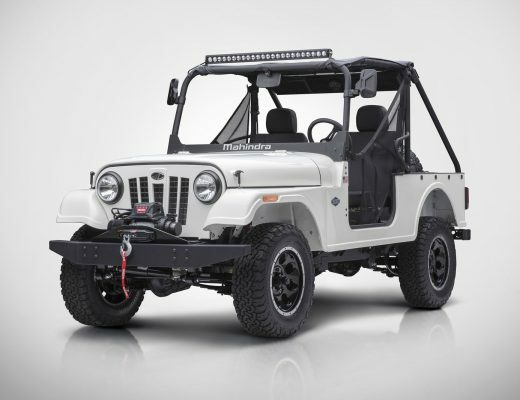 The race also marks the 14th consecutive finish for the Jagged X RANGER RZR. These accomplishments proves the RANGER RZR is the hardest working, hardest racing Side-by-Side available. In the first-year of production for the RANGER RZR, Jagged X did the unthinkable and won the 2007 BITD championship. Jagged X got their first podium, taking second, at the 2007 “Blue Water Grand Prix” and took their first first-place at the 2007 “Vegas to Reno” race and never looked back. They finished the season with three first-place finishes and one second-place and the BITD championship. In 2008, Jagged X and the No. 1919 started the season with two second-place finishes and then went on a tear finishing the season with five consecutive first-places, and the 2008 championship.